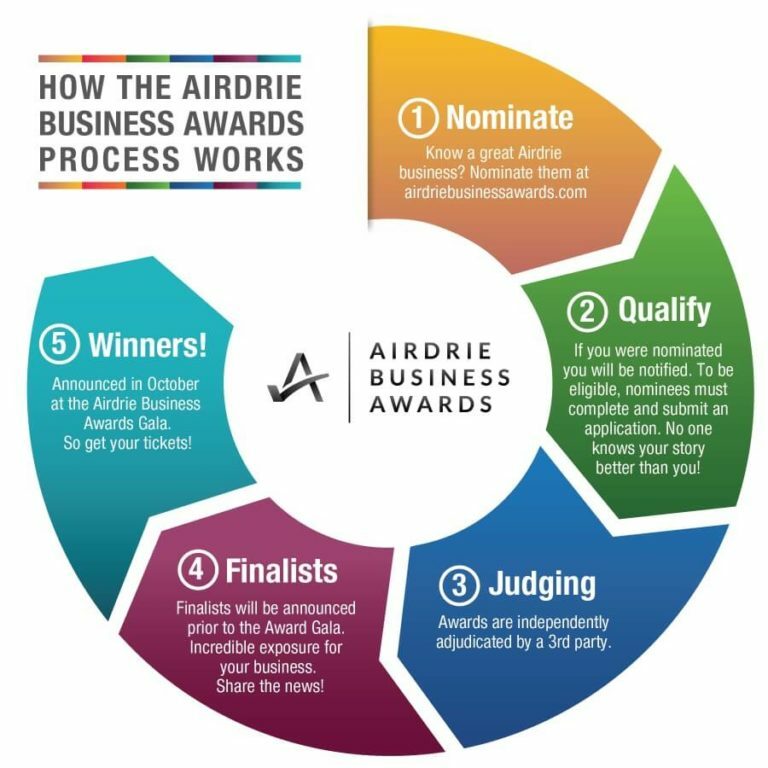 In 2017, the Airdrie Business Awards implemented a new process for the awards adjudication. Each nominee must complete and submit an application to be eligible. All eligible nominees are asked to complete a survey. Prior to sending these surveys to the adjudicators, names are removed to ensure anonymity of the business. Adjudicators are impartial, and not members of the committee or any associated organization. Each adjudicator individually reviews the completed survey and then scores each of the nominees using a pre-determined, weighted evaluation form, and then the scores of each judge are added together.